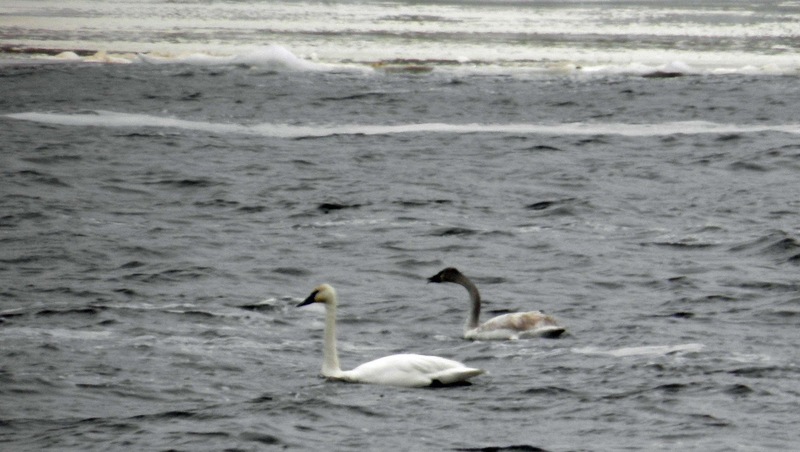 A year ago Alma was visited by 6 Trumpeter Swans, 1 adult and 5 cygnets. 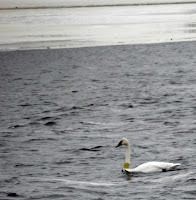 The adult had been injured and died with a day of arrival. The 5 cygnets remained feeding in the open waters below Lock & Dam #4 on the Mississippi River around the Great Alma Fishing Float. These juveniles were often visited by adults who were staying south of the area where there was a larger population in Buffalo City, WI. 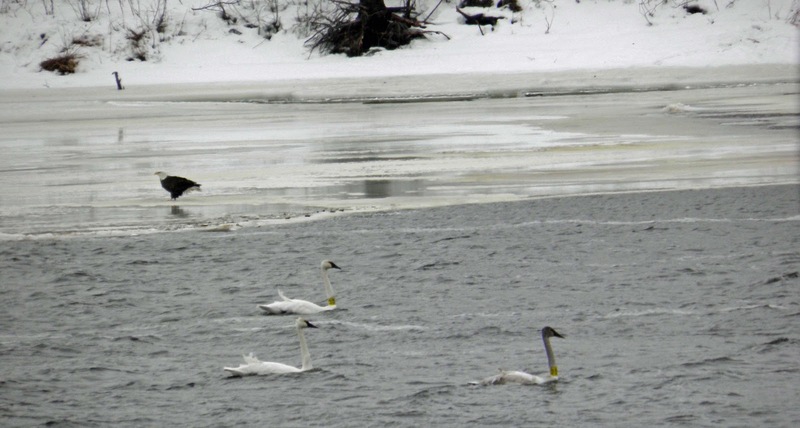 This was a rare sight for Alma ... we enjoy a robust Bald Eagle population and Tundra Swans are a fixture in the fall but no one remembered Trumpeter Swans. 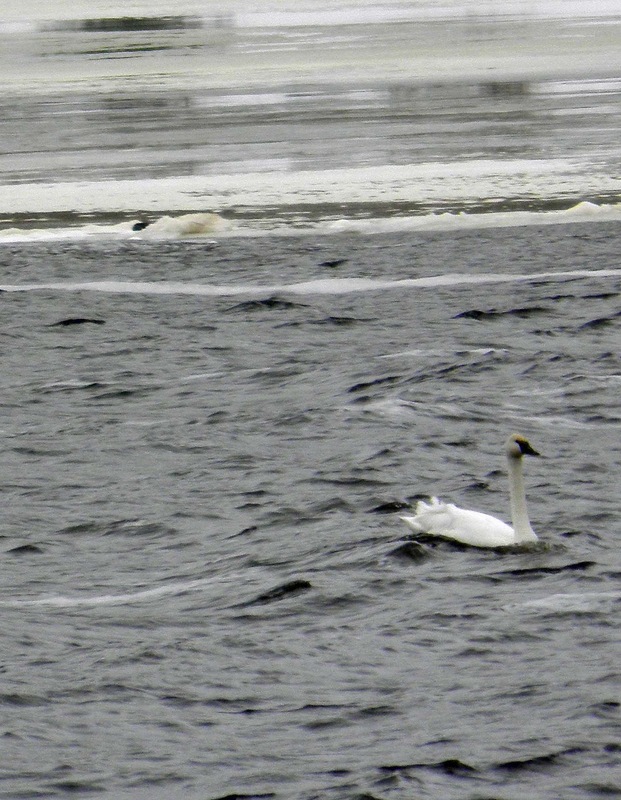 feeding in the open waters of the Mississippi River. 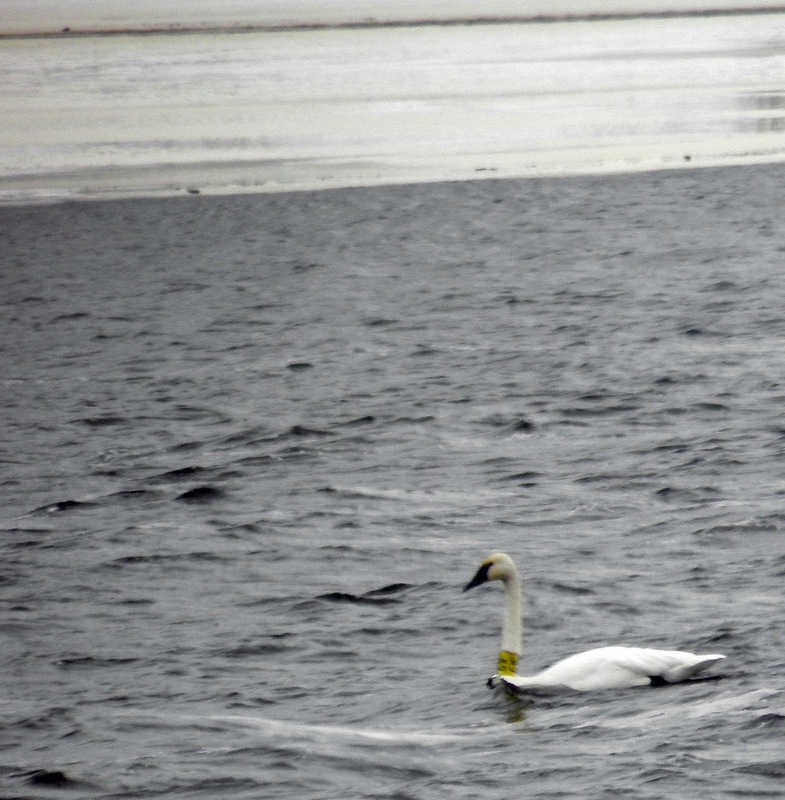 One adult and one cygnet are banded. 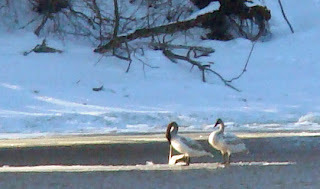 as they were feeding ... but no interaction. 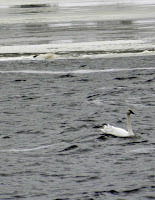 if you come to town and want to view the Trumpeter Swans.